A labyrinth is an ancient design that has been found throughout the world in different forms and sizes with many predating Christianity. 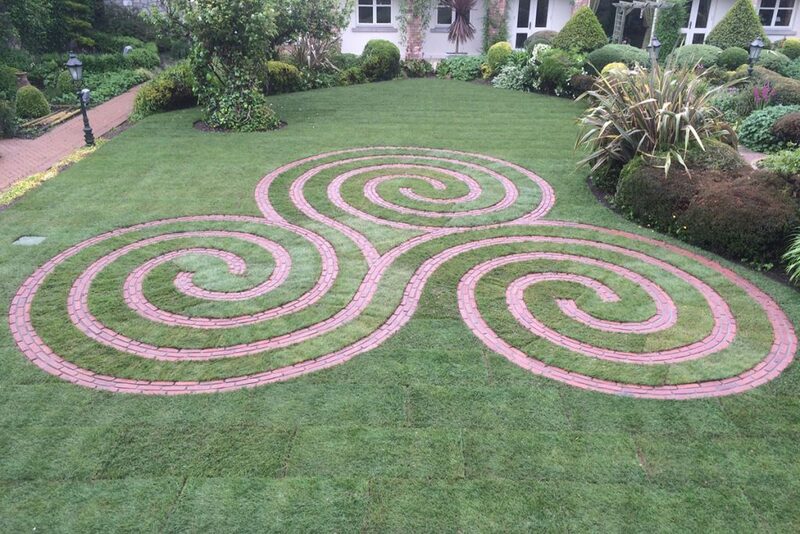 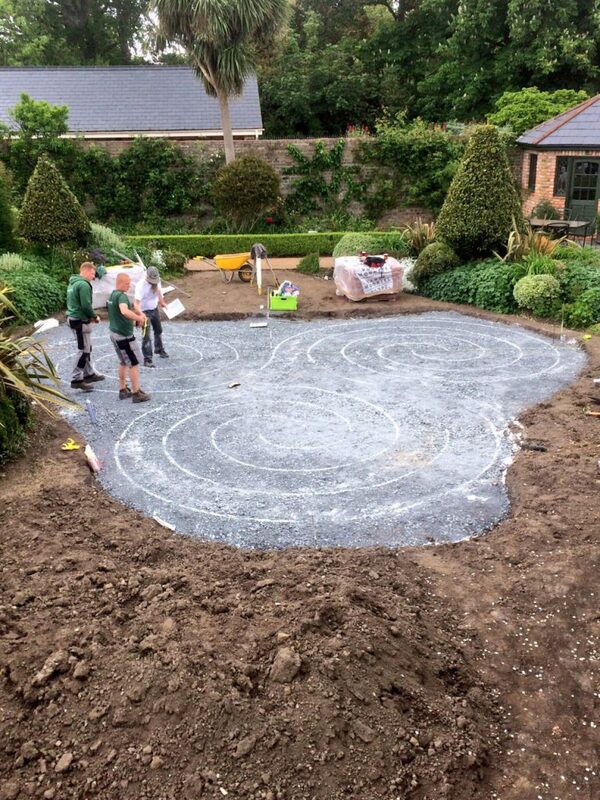 The client wanted us to create an Irish labyrinth similar to the labyrinth on the Hollywood stone found in County Wicklow. 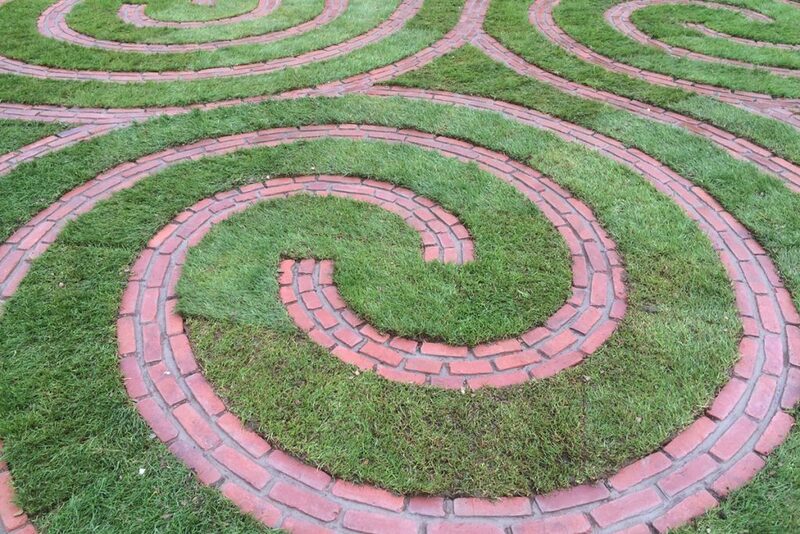 A labyrinth can be walked and can help with meditation and cantering one’s self. 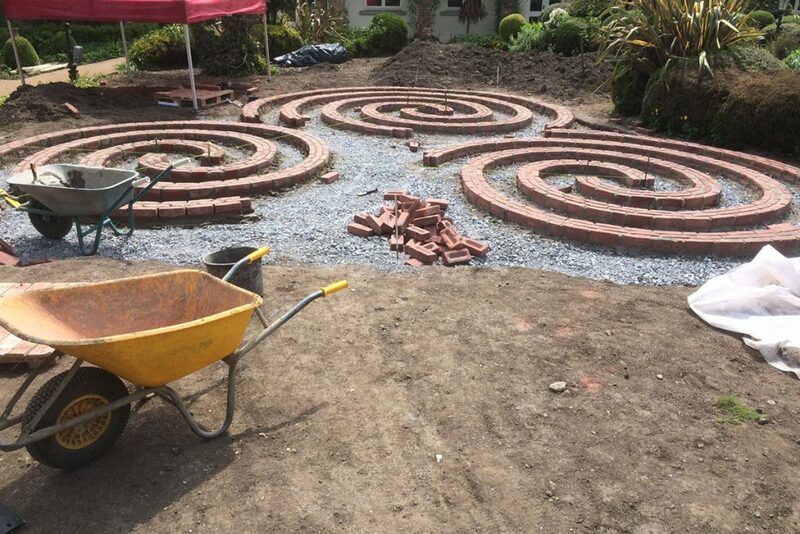 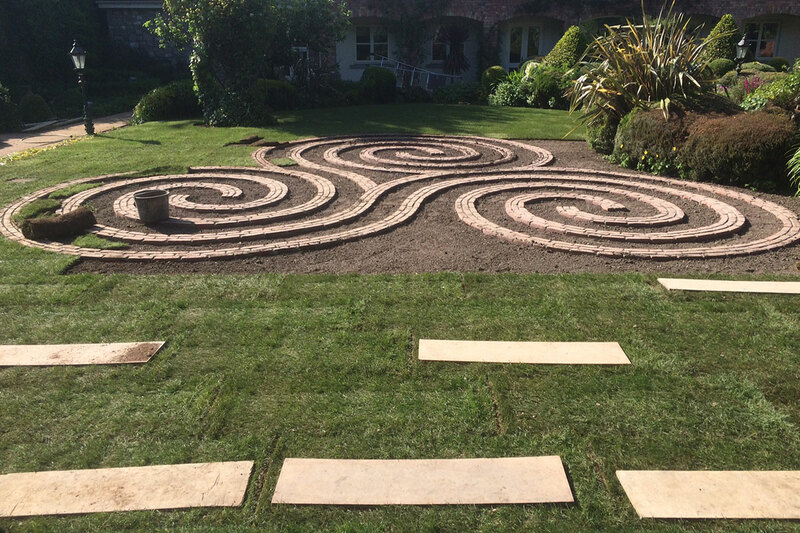 The client wanted to be able to walk the labyrinth in her peaceful garden setting so the correct positioning of it within the space was crucial. 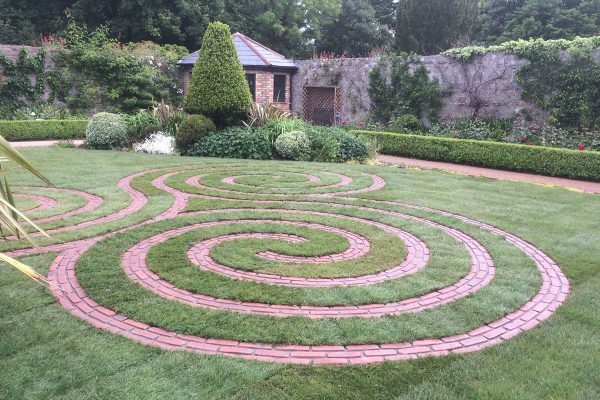 We identified the perfect location for the new labyrinth in the client’s existing walled garden. 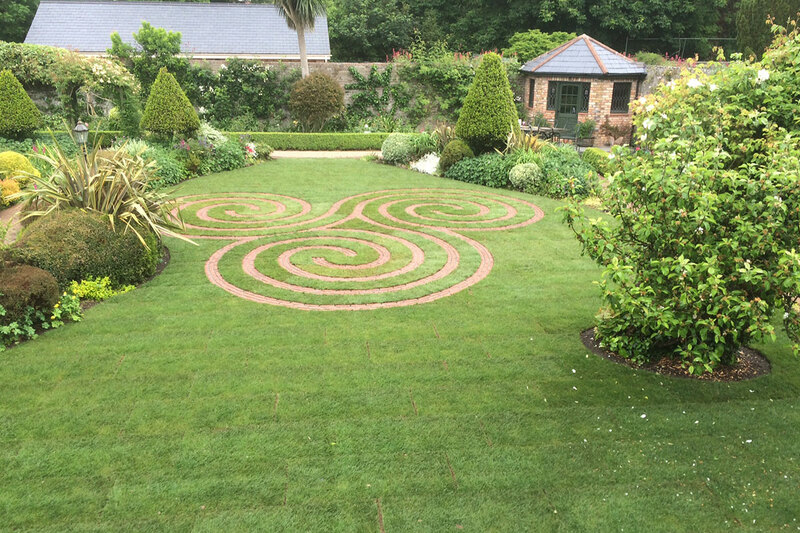 We had originally designed and landscaped this walled garden a decade before so this insight into the space really informed our decision. 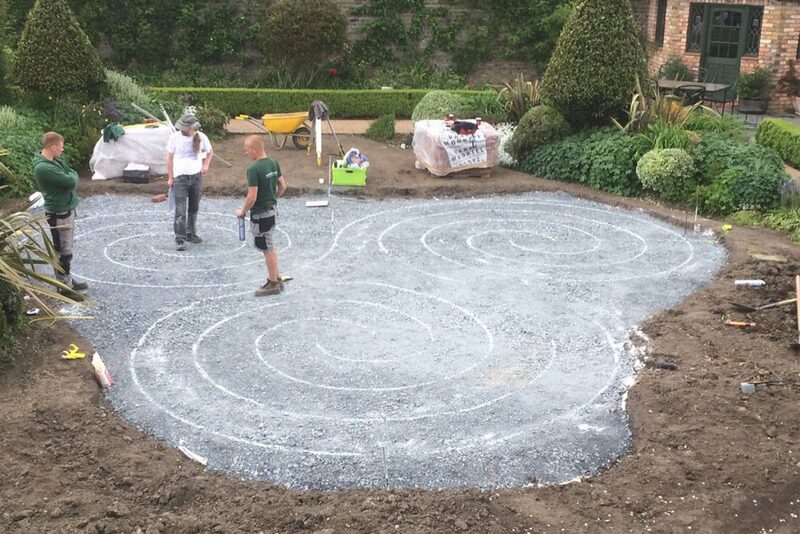 Setting out and scaling the labyrinth was a challenge with equal amounts of time spent in the studio as tweaking the measurements on site. We opted to use Belgian clay bricks as the hard surface as we had no concerns with them flaking in winter and knew through experience that they would stand the test of time. The old lawn was removed entirely and we treated the labyrinth construction more like a build project for a large patio, adhereding to the same process of laying sub bases regarding consolidated stone, membranes etc. 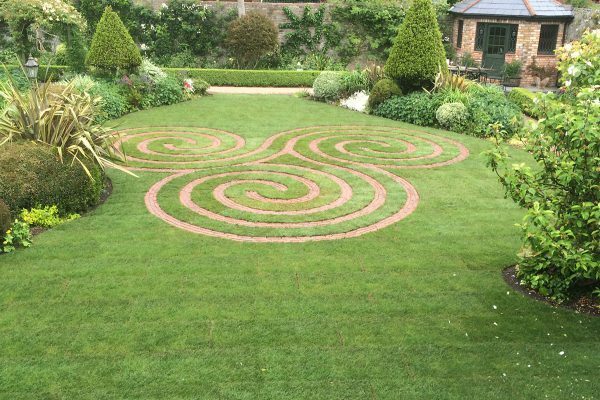 Access was tight and challenging and it was imperative that we paid attention to the surrounding planting schemes so as not to jeopardise them in any way. The complete labyrinth fits seamlessly into the walled garden and it looks like it has been there for centuries. 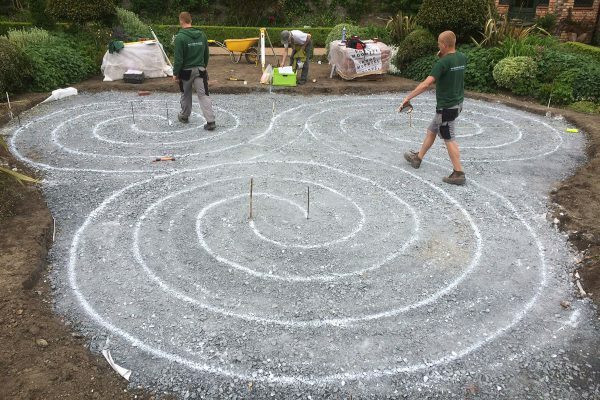 There was a definitely a tangible calming, almost spiritual feeling our team felt whilst constructing this labyrinth. 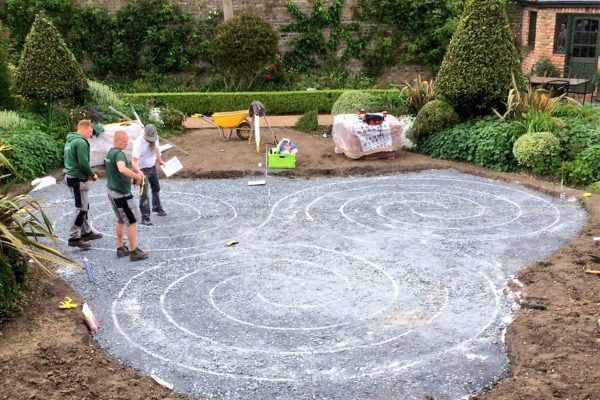 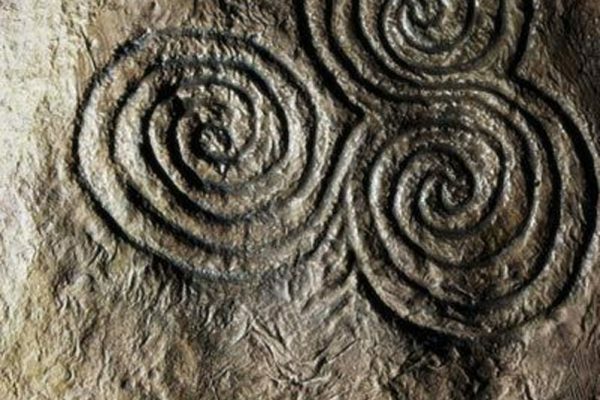 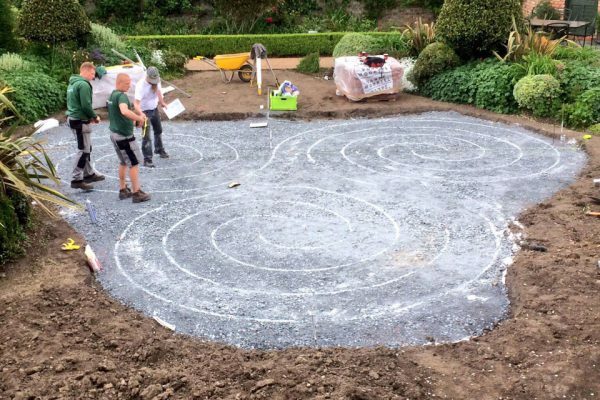 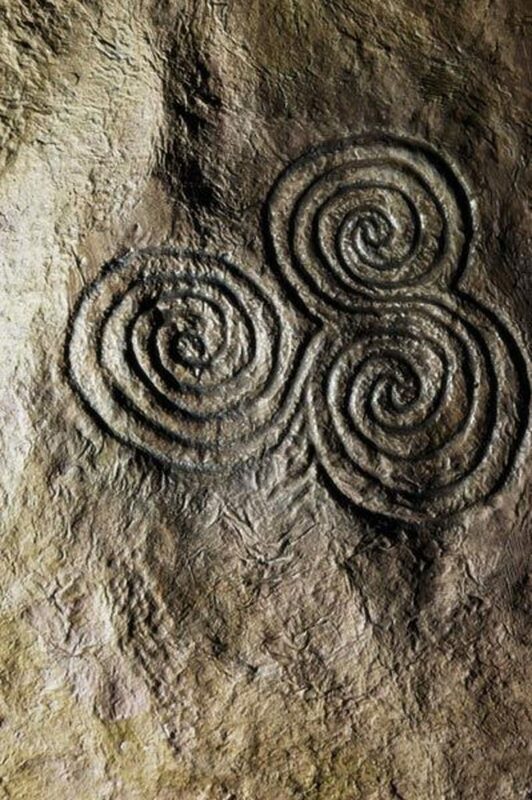 It was a pleasure to work with Ireland’s leading labyrinth artist Tony Christie on this project and we gained a great insight into the inner workings and philosophies regarding the labyrinth building process.